Independent Book Design Project | 2016. 05 | New York, U.S.
Earring Book is a book design project. It contains four pairs of book earrings that are wearable. Four different ways of binding including Japanese binding, perfect binding, pamphlet binding and fold book binding are adopted. 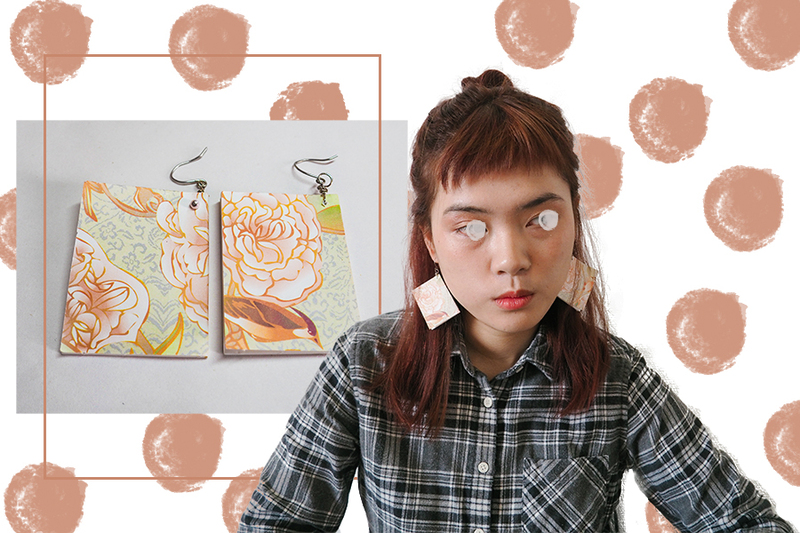 The inner pages are left blank to allow people who wear these earrings to create their own contents and to show their different personalities. The style of the cover which hangs these earrings is inspired by traditional Chinese screen design. 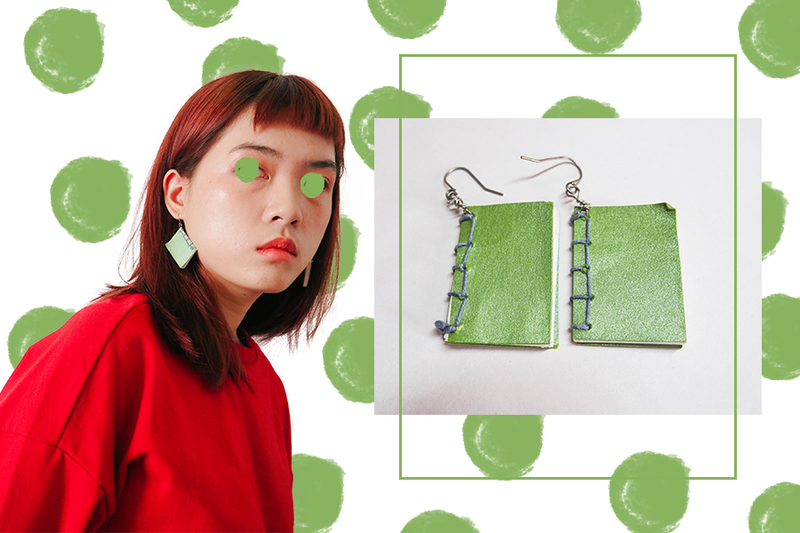 In this project, I used papers, hardboards, headpins and beads to make tiny book earrings that are wearable. I adopted four different ways of binding including Japanese binding, perfect binding, pamphlet binding and fold book binding. I have left the inner pages blank because I want people who wear these earrings to create their own contents. I created a larger cover to hang these earrings, whose style is inspired by traditional Chinese screen design. No matter what genre the content of a book is, a book is trying to tell a story. People all have different personalities and personal stories. Their personalities are shown partly through their choices of fashion. What they choose to wear is a way to show their preference and what kind of people they are. These earring books are such items that function both as stories themselves and intermediaries that help to reflect personalities.